A recent article in the local section of the Los Angeles Times, discusses the conversations a medical cannabis candy company is having with parents who are concerned with their children’s health and what the future may bring if Proposition 64 passes when put to a vote in the upcoming November election. For those who are not familiar, this ballot initiative will determine if marijuana is legal for recreational use in California as it is Colorado and a small number of other states and the District of Columbia. While it is far from a done deal, many in the medical marijuana industry think the ballot initiative will pass. 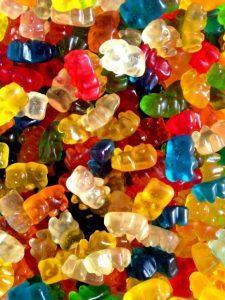 As for this candy company, they make edible cannabis products in the form of various confections and are considered among the best in the area. The company prides itself on the quality of the product just like any other artisan chocolate maker would. As of now, these candy bars and other candy products are only sold to dispensaries where they are then distributed to medical marijuana patients with a valid doctor’s recommendation that is cross-checked for authentication, and the patient’s identification and age is verified. However, if marijuana become legal for recreational use as well as medical, the company will be free to sell their products to anyone who is over the age of 21. For the company, this means huge growth, and as many clients have discussed with our Orange County cannabis industry lawyers, this is very good news. On the other hand, it seems many parents are becoming worried that if Proposition 64 wins voter approval next month, these cannabis candy products could end up in the hands of their children and that is a major concern to them. In response to these concerns, this company has decided to speak to parents. This first thing that has to happen is parents have to put the problem into perspective. While it is true that since Colorado has legalized marijuana, there have been around 250 cases reported to the poison control center for accidental ingestion by children, there have been 2,500 cases of children ingesting detergent that was stored under the kitchen sink. It should also be noted that many of these detergent overdoes were very serious and some led to death. The colorful pods that contain laundry detergent have become major problems since they look like food to small children and are deadly. The company also asks the question of whether it is right to ban something for this reason. For example, if someone accidentally overdosed on aspirin as their spokesperson says, parents would not likely blame the drug maker. However, realizing that they do have a responsibility to consumers and families, the company has done its best to make sure the packaging does not appeal to children. There are no colorful cartoon characters or animals like we see with traditional chocolate products. Despite this, parents with concerns are still fighting against the passage of this new law, but it does not seem likely that their efforts will be successful.